良いと思うか、悪いと思うかだけのこと　最終話　Don't need to judge everything, "Good or Bad"
I'll write the end of this story. 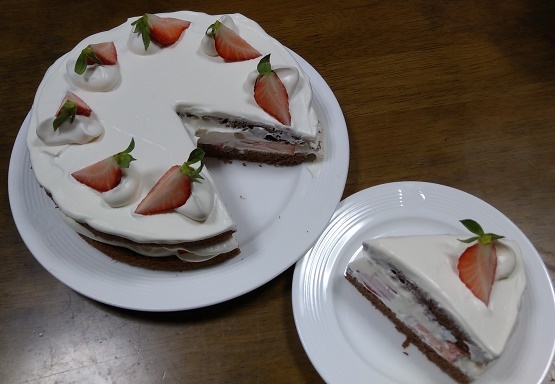 I finished making this sponge cream cake. as it occurred to me that I delivered this cake to her. so I was ready to go out immediately. I just met her in front of her house and shered our joy. and finally I met her in the unexpected way!!! I can get the miracles and it might be Attraction.